I was asked a few weeks ago to be a part of a calendar of Columbus Twitter ladies to benefit epilepsy research in Central Ohio. I thought this was a worthwhile cause, so I jumped on board. 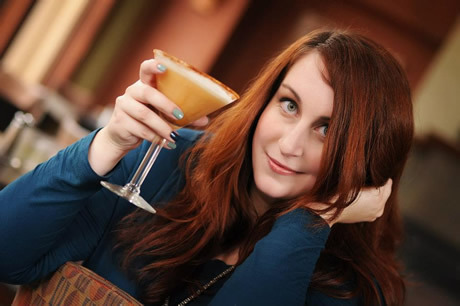 Also, I like getting my picture taken. The project started because the group of girls who later brought me in ALSO wanted to get their picture taken. And then they decided these pictures should form a calendar. And then they decided they should sell this calendar to benefit a cause. And then they discovered that one of the girls in this small group is affected by epilepsy. As are 3 million others in the United States. And that’s how the #calendargirls came to take on fund raising for epilepsy research – a disease that has been historically under-funded, with federal dollars spent on epilepsy research paling in comparison to those spent on other diseases, many of which affect fewer people than epilepsy. After hustling a lot of volunteer time – photography, hair, makeup, design, printing, etc. etc. etc., the calendar is finally complete. And we want you to come celebrate the launch with us! And, uh, naturally, buy a calendar. We’ll be having a launch party Thursday, January 20 at The Social Room in downtown Columbus. There will be a photobooth set up, a live DJ, some great specials and, of course, the ability to buy a calendar or make a donation. RSVP on Facebook. You can pre-order your calendar here. Or if you already have a calendar, or don’t live in Central Ohio, you can make a donation here, too. 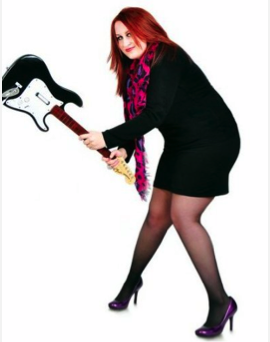 As for my photo contribution… I am smashing a plastic Rock Band guitar in 5 inch heels. Naturally.